Release Date: ‘7th’ December 2018. The Berlin based Philophon label will release their first ever label compilation Bitteschon Philophon!Volume 1 on the ‘7th’ December 2018. 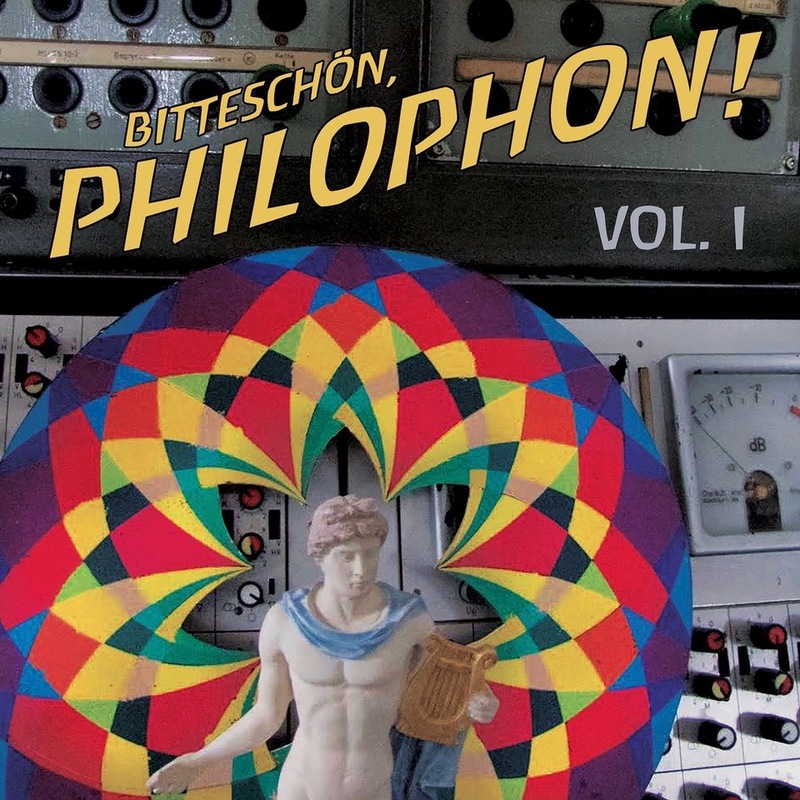 Bitteschon Philophon!Volume 1 is essentially a best of compilation, that features ten tracks from the first fifteen seven-inch singles released on Philophon. These fifteen tracks feature some well known names. This includes Jimi Tenor, Alemayehu Eshete and Hailu Mergia. They’re joined by new names like Guy One, Alogte Oho and Y-Bayani and His Band Of Enlightenment Reason and Love on Bitteschon Philophon! Volume 1 which is a perfect introduction to one of the most eclectic labels in Germany. One of the new names on Guy One, who contributes the soulful, funky Estre the B-Side to his 2017 single Everything You Do, You Do For Yourself. Both sides showcase a talented rising star of music. Alemayehu Eshete is an Ethiopian soul and Ethio jazz singer, who is nicknamed “Ethiopian Elvis.” He’s one of the biggest names on Bitteschon Philophon! Volume 1. His contribution is Alteleyeshegnem which he released as a single in 2017. The teen party edit of Jimi Tenor’s My Mind Will Travel was found on the B-side of is 2018 single Quantum Connection. It’s a potpourri of jazz, funk and soul from a true musical pioneer. Y-Bayani and His Band Of Enlightenment Reason and Love contributes two slices of quality reggae to Bitteschon Philophon! Volume 1, This includes their 2018 single Rhewe Mie Enyim and Asembi Ara Amba. Invisible Joy is the B-Side of Bajka’s 2016 single The World. It’s a fusion of avant-garde jazz, funk and pop which is truly memorable. Equally memorable is Lee Dodou and The Polyversal Souls’ highlife track Basa Basa. So is Alogte Oho and His Sounds Of Joy Frafra-Gospel single Mam Yinne Wa which was released in 2016. Hailu Mergia will still be a new name to many music fans, but the Ethiopian organist and synth player is held in the highest regard by a coterie of discerning musical connoisseurs. His 2015 single Yegle Nesh is a tantalising taste of one of Ethiopia’s most talented musicians. Closing Bitteschon Philophon! Volume 1 is The Polyversal Souls’ Portrait Of Alemayehu (Daytime). It’s a haunting track that meanders along, revealing its secrets as this genre-melting track unfolds. As is often the case on completions, it’s a case of keeping the best until last. For anyone with eclectic musical tastes then Bitteschon Philophon! Volume 1 is a compilation to look out. It features ten tracks that were released on singles between 2015 and 2018 on the Berlin-based Philophon label. It’s quality all the way on Bitteschon Philophon! Volume 1, which is truly eclectic compilation that is a cut above the compilations released at this time of the year. ← STAX 68: A MEMPHIS STORY.